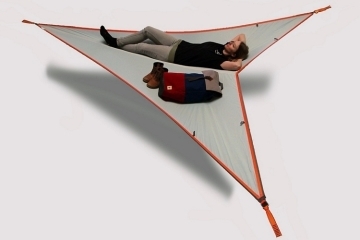 Just like the giant lumberjack of American folklore it’s named after, the Bunyanesque Hammock is the kind of gear people will speak magnificent tales about. 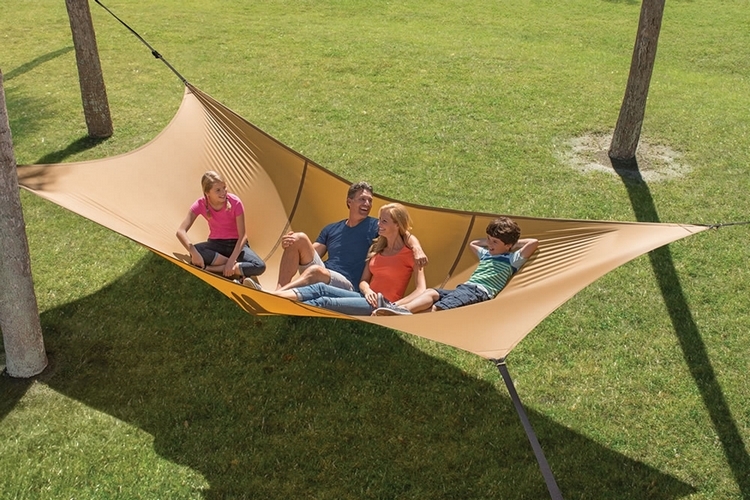 Children will sing about the joys of jumping up and down across its expansive canvas bed, adults will speak of the times half a dozen of them crawled in there to wait out a drunken stupor, and behemoths will reminisce about the day they found a hammock that managed to hold their weight. Able to support up to 1,000 pounds, it lets you take a small party aboard its suspended bed. A herd of rowdy kids turning it into a private fort? Not a problem. 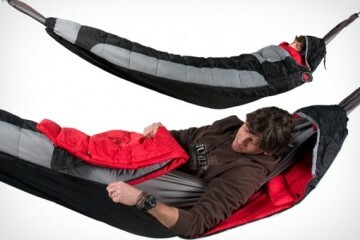 A group of hikers using it for sleep during camping? Sure. 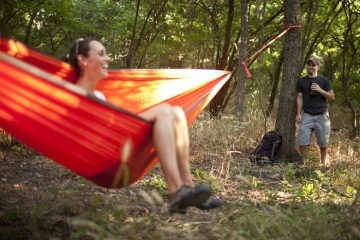 How about a family picnic aboard a hammock in the backwoods? Absolutely. 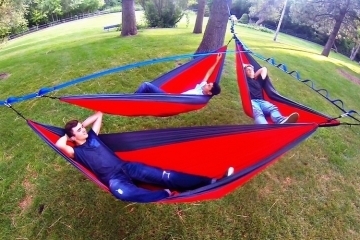 The Bunyanesque Hammock measures 8 x 15 feet, giving you plenty of room to roll around even with multiple people in tow. To guarantee durability, each one is handmade by an FAA-certified parachute rigger using sturdy ripstop nylon, with every corner holding inch-wide straps that can hold up to 1,100 pounds individually. You don’t have to worry about making knots either, as the strap locks using twin stainless steel hooks. 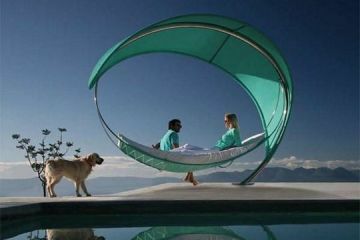 Available from Hammacher Schlemmer, the Bunyanesque Hammock is priced at $499.95.